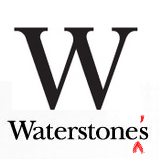 The grammar police amongst you this morning might have heard that in recent weeks that the chain of bookshops - Waterstone’s - has gone through a small, almost unnoticed and yet significant transformation - they have become Waterstones. It sounds the same, but someone has smuggled away the apostrophe. Before we know it, they’ll be selling book’s! To notice the change, you have to see it. As we pack away the crib with the figures of the wise men and the Holy Family for another year, do the community living and working around our church buildings and us as church people, notice? As our celebrations of Christmas formally end today - the world shaping news that God has left His heaven and quietly, almost unnoticed come and dwelt among us, has it made a jot of difference to the landscape of our lives or to our community? As Mary and Joseph made their way into the Temple with the child Jesus to do for him what was right under the Law, I suspect that they too wanted to remain unnoticed - a child born out of marriage, having had angelic, and then unclean and then Gentile visitors, with much being said about their son - I suspect the Holy Family were happy to be nameless and faceless in the crowds. Yet like all of the poor and downtrodden, the nameless and faceless in society, the Holy Family were seen by God through the eyes of Anna and Simeon. What was it that made Anna come rushing up. What was it that made Simeon and Anna notice this one child in the middle of the crowd? What was it that made Simeon sing his song? Well, we have to remember as we try to answer these questions that Simeon and Anna had been there for years, praying and getting themselves ready. Ready for the Kingdom to come.They were waiting, watching and looking for something to happen. For God to happen. They waited with open eyes. Eyes searching the crowded temple, eyes, though old still looking for a greater revelation of God’s love. And what did they see? Well, they saw a baby. Just a baby. An ordinary baby. Yet, the readiness that Anna and Simeon came with that day, helped them to see that this was something special. They saw that the king of heaven had been born into an ordinary family who could barely afford the right sacrifice. They saw because they were looking. They saw it because they were the ones with open eyes. Remember the heart of Simeon’s song – “My eyes have seen the salvation which you have made ready” My eyes have seen… They say that seeing is believing, and for these two elderly believers, it was true. They saw through open, expectant hearts. The drama of this morning’s Gospel, the revelation of God born as one of us, meets us in the midst of the worship of the Temple. In the East, this feast that we celebrate together is not called the Presentation of Christ, nor Candlemas, it has a name which is simple and in a way more profound. It is called “The Meeting”, or “The Encounter”. The impact of our worship on our lives must no go unnoticed. For as we hear the Scriptures read, as we sing and pray and as we share bread and wine, we encounter God in Christ Himself in our midst and that encounter cannot leave us unchanged if we come to him as Simeon and Anna did, patiently waiting to encounter Him with expectant, open hearts. You see, there's no point in worshipping at all, if we don’t encounter Christ. It doesn’t matter what time or day, what we say or sing, if we leave that time not changed or challenged by something God has said to us as we have prayed, heard or sung. If we leave the church door, the same person as we entered it - we need to ask what have we been worshipping? As Christmas formally ends today we need to remember that there is no point in worshipping Christ in the manger if we ignore him in the streets, no point in celebrating the coming of Light into the world, if we still choose to linger in darkness, no point in hoping for changed lives or communities if our life and world is not transformed by the life of Christ in Word and Sacrament. We can't do anything to take away that darkness, even for those whom we most love... but we can shine the light of Jesus on all those dark situations, and that's what today is about. Today at the end of the service we will carry our candles, and fill the church with their light as a reminder that Christ the light has come into the world. But when we leave this building, - that's when the light we carry must really begin to act. It's the light of faith and the light of good works.....the things we believe and the ways in which they lead us to live a different kind of life. 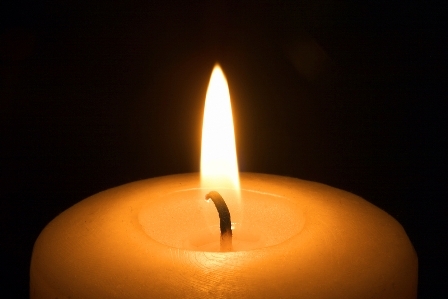 Light to be kindled with the flame of love...our love for God and God's love for us. Light to show up whatever is grubby or broken or sad...but light that also, gradually, pushes back the darkness so that it is as if it had never been there. That's the light we are each given to carry in our lives. Light that shines through our own acts of love and kindness. Light passed on to others in a kind of loving relay, just as when we light our candles here we send the flame from one to another til at last the whole place is full of love and light again. That's quite a goal, - for us, and for our community. But I truly believe this is the point of our being here, the outcome of our worship of God. As Ben, Eden, Gillian and Virginia receive the Sacrament of the Eucharist for the first time with us this morning, Christ fills us - people who may otherwise go unnoticed - with light to shine with the love of God so that our friends and neighbours can't help but notice, and be drawn in their turn to the light and love of God beyond anything that we could imagine or attain on our own. Today Christmas is over – but the light still shines in the darkness, and the darkness will never put it out. The light from the stable is indeed, as Simeon proclaimed, a light to show God to the nations, and to bring glory to God's people... And that light is ours to carry into God's world every day of our lives, through the grace of our Lord Jesus Christ, the love of God and the power of the Holy Spirit. Amen. I am indebted to Kathryn and Kevin for some pointers and ideas in this sermon. Thank you.